metaphor contemporary art presented over 20 artists at the Affordable Art Fair New York City 2002 at the 92nd Street Pier at 55th Street, in Manhattan. The Affordable Art Fair came to New York this year for the first time after four successful years in London. Over 90 galleries exhibited work of hundreds of contemporary artists from around the world. 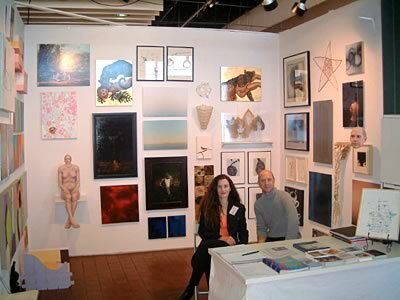 Our booth was appreciated by thousands of viewers many of whom added metaphor artists to their collections.